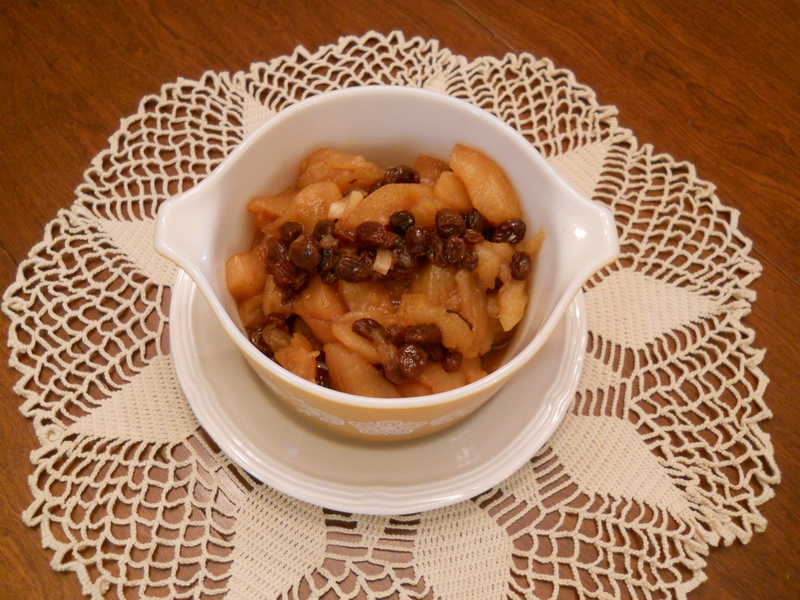 Concoction of old apples…old raisins…and voila! What do you do with old apples, totally ignored for over four months, because I am on a kick for cantaloupes right now; and a box of old dried raisins. Well…if you are like me, I do not like to waste anything, and like to repurpose almost everything…do not like to throw things out…you become creative on a rainy day such as today. 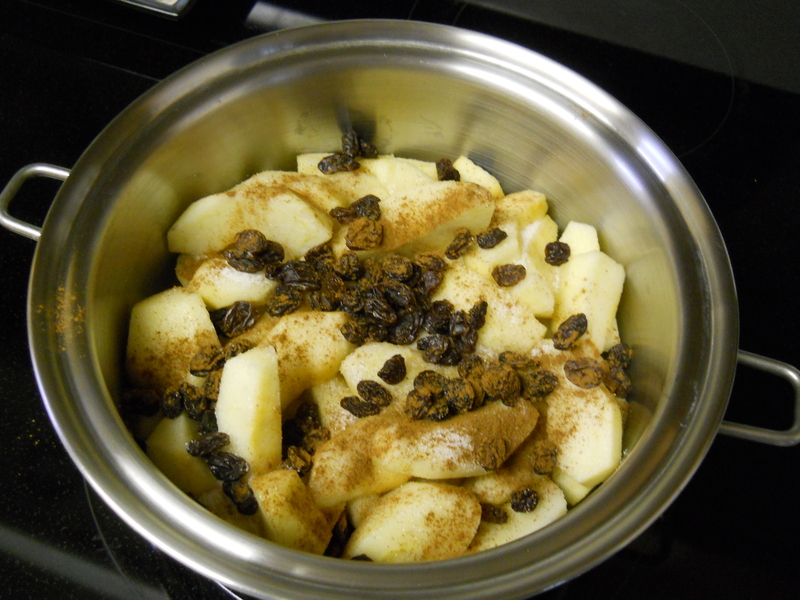 You peel them, slice them, put them on a pan with nothing in it, add the raisins, some cinnamon, some sugar, a pinch of salt, one teaspoon of vanilla extract, little, little salt, and if you have crystallized ginger, just a bit. Put all the concoction to simmer very low, because it has to create a steam, no fat whatsoever. I do not have margarine, butter or even other regular oil. Only extra virgin olive oil, and I did not think that was proper. I put olive oil on everything I cook, except sweets. After steering for a few times, whenever you see the apples are al-dente, just remove them from the pan and into a dish. Sooo delicious. I am planning to have some with my dinner. That will be salmon, tabouleh and steamed apples. So good for me also. So…it was today…11th March, a day to have old apples repurposed. “Can we ever have too much of a good thing?” Miguel De Cervantes, Spanish novelist, poet and playwright. 1547 – 23 April, 1616. This entry was posted in Uncategorized on March 11, 2012 by happycontessa.